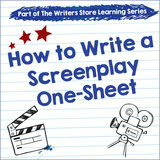 Free writing seminars are a great way for writers to hone their craft in screenwriting, and filmmaking & more. They can attend writing events presented by well-known authors that focus on how to create your own TV series, how to thrive in writing, and mistakes every writer makes. Plus, listen to an interactive panel discussion during a creative writing seminar with famous directors, producers, and authors on how to promote your creative career.